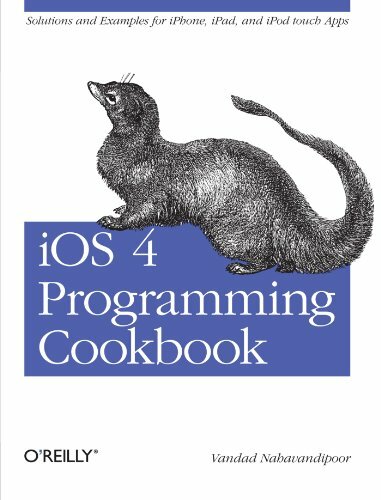 [PDF] iOS 4 Programming Cookbook: Solutions & Examples for iPhone, iPad, and iPod touch Apps | Free eBooks Download - EBOOKEE! Posted on 2017-11-05, by luongquocchinh. Description: You can build a variety of amazing apps on the iOS platformand every one of them presents a unique set of problems. With the recipes in this cookbook, you'll go beyond theory to solve the vexing, real-life issues youre likely to face when creating apps for the iPhone, iPad, or iPod Touch. Each recipe provides a clear solution and sample code that you can use right away. No comments for "[PDF] iOS 4 Programming Cookbook: Solutions & Examples for iPhone, iPad, and iPod touch Apps".